Essential Surrey & SW London (ESSW) is the fastest growing luxury lifestyle website in the country covering the areas of Surrey, SW London and East Berkshire. Currently the website receives 60,000+ unique users/month from the same targeted AB1 demographic that Sheengate Publishing’s stable of magazines enjoy, and with a dedicated team of professional writers and social media influencers adding fresh content all the time, hundreds of readers are introduced to their new local lifestyle bible every day through their phone, tablet or desktop. Clients can choose from a number of advertising services on Essential Surrey & SW London, including native options such as sponsored custom content and competitions with data capture, as well as run-of-site digital banner spaces and web wraps. Advertisers in industries as varied as interiors, accounting and music festivals have all enjoyed great success generating revenue and sales leads on the ESSW website, either as part of a print/digital multimedia bundle or a stand-alone digital campaign. For further information on the different types of digital advertising services we provide and how they can help your business prosper, please continue on below. Custom content is a superb way of getting your message across to readers in a format that is easily accessible as well as enjoyable. It’s a fantastic opportunity to share your industry expertise while borrowing the hard-won respect and authority that the Essential Surrey & SW London brand commands due to a distinguished history of delivering high-quality journalism to its readers. Custom content is completely bespoke to each client and our crack team of digital journalists are always happy to lend a helping hand with ideas, writing and editing. Examples of past pieces include how to videos, top tips articles, interviews, informative pieces on an issue relating to a client’s industry and event previews, to name a few. Once finished, a client’s piece will spend 30 days on the homepage of Essential Surrey & SW London and remain in the archives indefinitely, accruing all the off-site SEO benefits for a client’s website of a high domain authority backlink. Competitions work for a client on two levels. On the first, they are an excellent branding exercise by themselves, as any hopeful entrant will spend a minute or more with a client’s services in front of them while entering their contact details. On the second, they are an invaluable way of gathering targeted sales leads through data capture as every competition form includes an opt-in box for entrants to choose to subscribe to a client’s newsletter/promotional material. By combining a reader offer for said opt-in, clients can look forward to above industry standard opt-in rates of between 10-15%. 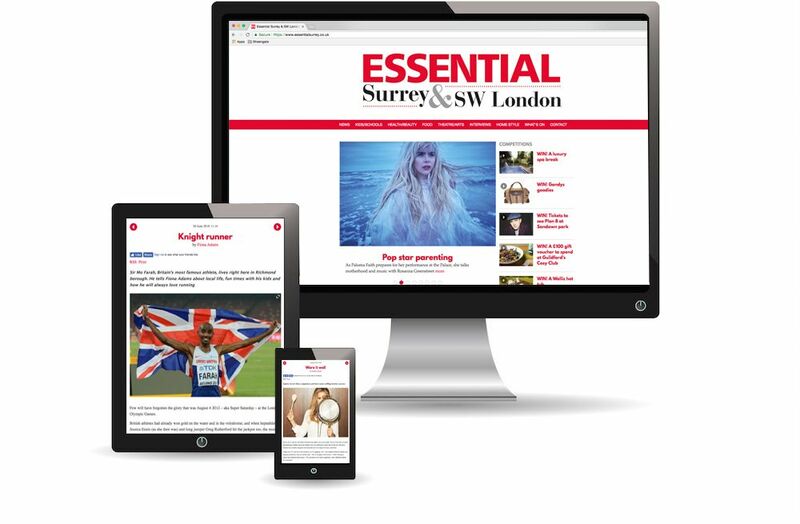 Once live, competitions run on the homepage of Essential Surrey & SW London for 30 days and include as standard a full social media stack across our Twitter and Facebook channels. Essential Surrey & SW London specialises in evergreen (continually relevant) SEO articles that rank at the top of search engine results pages for certain high-value search terms like ‘The Best Golf Courses In Surrey & SW London’. The vast majority of traffic to these pieces comes through search engine queries, so the commercial intent of readers is very high. Sponsored insertions in to these evergreen round ups are available at a yearly rate; POA. Upon receipt of payment, a client’s paid listing will be added in to the round up of their choice for a 360 day period, with a rolling yearly option to extend. Yearly Content packages are non-refundable. Display adverts are a fantastic choice for clients looking to advertise their services to a monthly audience of 60,000+ affluent Surrey and SW London readers. Clients can choose between run of site or section/page specific advertising spaces, with full reporting on impressions and click through rates for any display advert campaign. Display adverts on Essential Surrey & SW London are excellent sales generators for clients as they put a user only two or three clicks away from the point of sale and, combined with a website-wide click through rate that is above industry standard, offer an excellent return on investment.